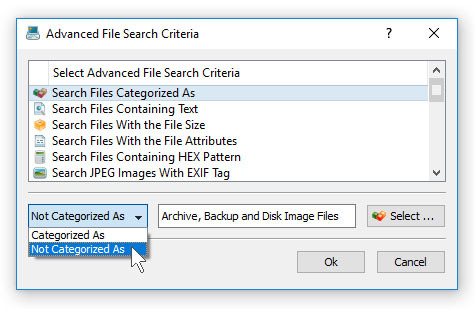 DiskPulse Pro provides power computer users with the ability to monitor specific file types according to the specified file matching rules. 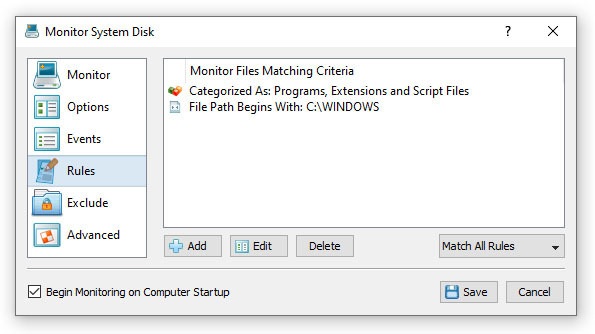 For example, the user may specify to monitor changes in program files and DLL libraries located on the system disk. In order to add one or more file matching rules, open the profile dialog, select the 'Rules' tab and press the 'Add' button. On the 'Rules' dialog select an appropriate rule type and specify all the required parameters. During the disk monitoring process, DiskPulse Pro will monitor all the input directories and apply the specified file matching rules to all changed files. Files not matching the specified rules will be skipped and the results view will contain user-selected files only.